Reliable & intelligent solutions to simplify your life. SAV Digital Environments designs, manages and installs innovative home & business automation solutions: Audio-Video Systems, Home Theater & Entertainment, Lighting Control, Shades & Blinds, Security & Surveillance, Life Safety, Networking & IT, Climate Control & Energy Management and more, all backed by our 24/7 reliable customer service. Our roots started to take form in 2005 as a fast-paced dynamic systems integration firm named Studio AV, when entrepreneur and owner Cory Reistad had a vision – A vision to create the best audio video environments possible. 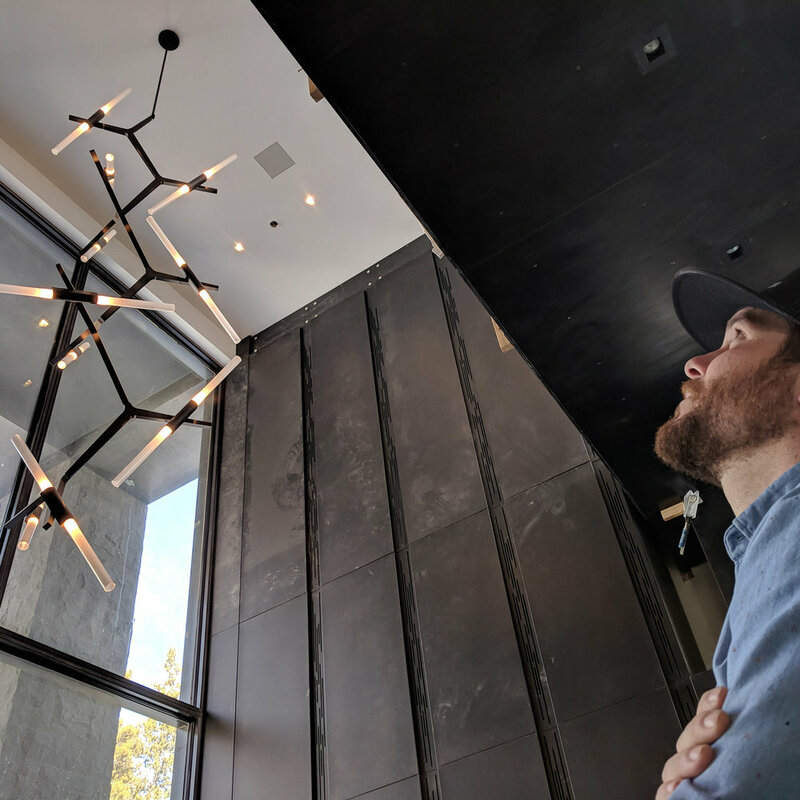 Having begun his career in the field as a technician-owner in 1999, Cory has since built a team of unique, creative and innovative individuals over the years who not only exemplify technique and design, but also understand the importance of unyielding client service. The result is a 60+ member team spread throughout Bozeman & Big Sky, MT as well as Jackson, WY. As technologies and partnerships progressed, so did the company's name. Advancements in technologies, along with years of extensive industry experience and the gathering and retention of knowledge, Studio AV evolved. From the life and legacy of Studio AV, SAV (pronounced /es-ā-vē/) Digital Environments has emerged. A home once caught up in recession is completed as a bespoke gem. This is the story of a duckling that became a beautiful swan, a home tarped mid-construction in the 2009 recession to reemerge as a residential masterpiece years later. 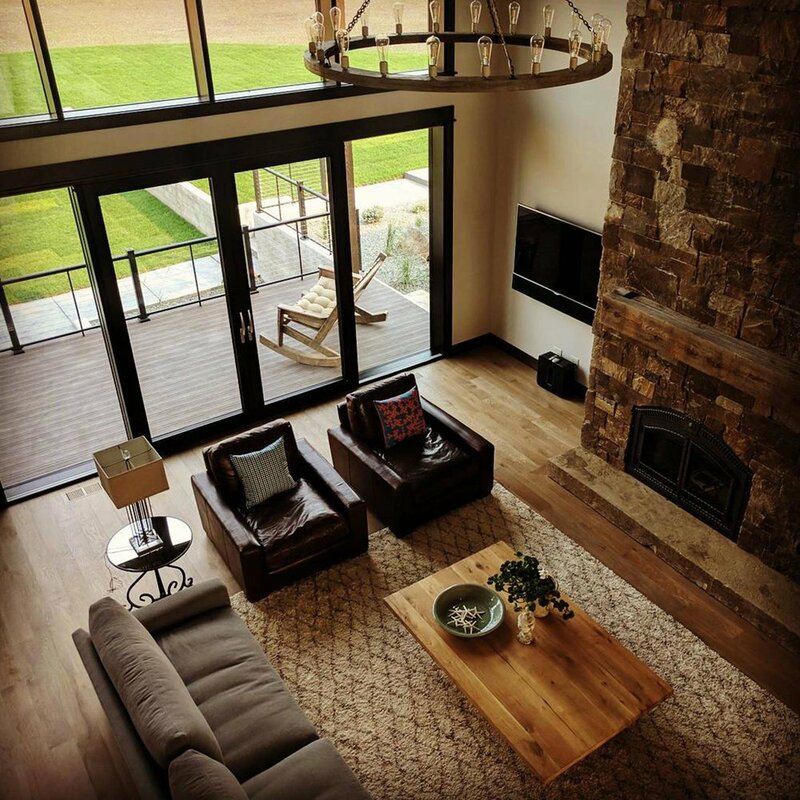 It began in 2005 with Carney Logan Burke Architects designing a vacation home for a UK couple at the new Snake River Sporting Club, a luxurious home development in an idyllic setting along Jackson Hole’s Snake River. Constructed by Teton Heritage Builders on a highly visible site near the club entrance, the home was rustic and refined, its stone-and-barnwood siding contrasting with smooth copper, its roof peaks mimicking the scenic ridgeline. But the recession halted construction, leaving the project in search of new owners. Immediately recognizing the home’s extraordinary potential, with “the exterior finishes and sloping lines of the design merging the home into the surrounding terrain,” the couple hired the WRJ team of Jenkins, Baer and senior designer Sabrina Schreibeis to complete the project. “We selected WRJ Design specifically for their expertise in cultivating this experience,” says the wife, referring to the home’s harmonious quality. 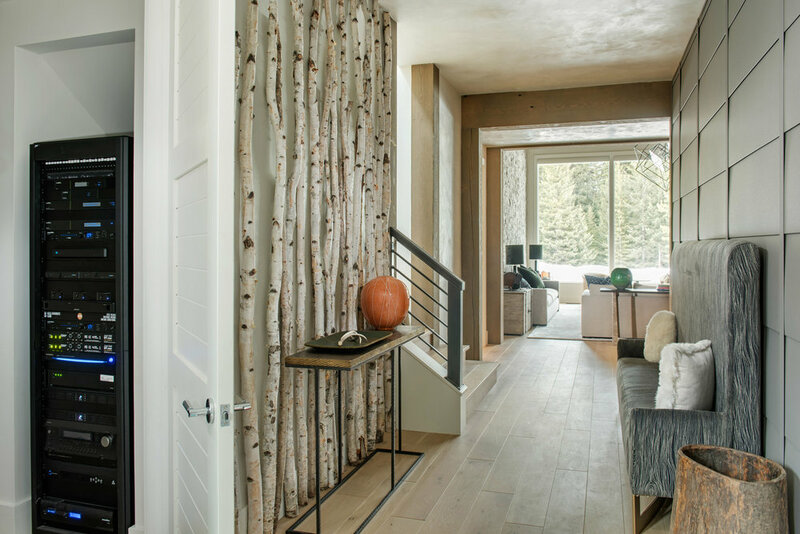 “In collaboration with our general contractor, Teton Heritage Builders, WRJ emphasized a contemporary aesthetic focusing on clean lines with minimal wood trim” to create “a quiet and calming” interior space. Inspired by a recent trip to the Salone del Mobile market in Milan with its spare European contemporary approach, WRJ began by thinking about lighting, sourcing cutting-edge decorative fixtures that installed directly in ceilings and outlets recessed with nary a bump marring perfectly smooth surfaces. The futuristic features, installed by SAV Digital Environments, continued with solar window shades that disappear into ceilings, automated drapes and virtually invisible speakers hidden behind walls. “The architect had brilliantly designed lift-and-slide glass doors in the living room and master bedroom that disappear into the walls,” says Jenkins. “The automated insect screens descend, and you can lie in bed and feel like you’re camping … but without bugs.” “Camping on cashmere!” adds Baer. “It’s glamping at a whole new level,” agrees Jenkins. WRJ approached the home’s interiors like a work of art, designing and commissioning every element of furniture, art, drapes and finishes. And while the floor plan honors the unbroken line, the arrangement of furnishings allows for flexible use within the spaces, tailored to the homeowners. In the living room, subtle layers of texture in floor-to-ceiling Loro Piana drapes and sumptuous cashmere throws warm sleek surfaces. A seating area in front of the fireplace invites entertaining, with swiveling captain chairs that allow guests to put their feet on the hearth or turn back to the sofa for conversation. In a more intimate grouping, four custom-made Holly Hunt chairs seat two people each, so four couples can chat comfortably. “Our approach starts with understanding the needs and priorities of the homeowner,” says Rush Jenkins of WRJ Design Associates. 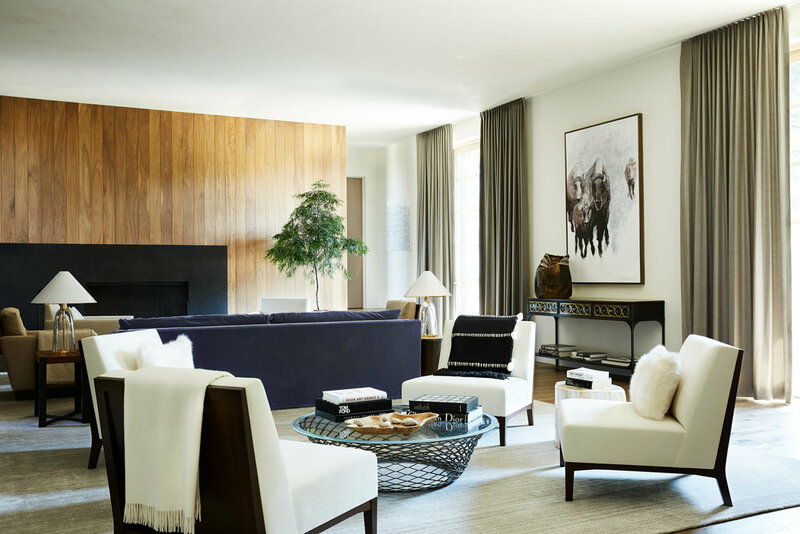 “We love creating one-of-a-kind pieces, and it’s thrilling to work with clients who appreciate bespoke work for their home.” Below Jenkins offers tips for identifying the best location for custom pieces in a home. ONE Understand which areas in the home call for unique and bespoke pieces. Often, custom-designed furniture is an investment, so identifying the best areas to showcase pieces should be carefully identified. TWO Harmony between aesthetic, function, scale and material should all be considered. Drawings and detailed specifications are very important to make sure the designer, homeowner and fabricator are all on the same page. THREE Selecting the right combination of materials is key to the overall success of a piece. Woods, leathers, bronze and metal, as well as many other materials, are exciting to use. FOUR To create harmony and balance, the relationship between the custom pieces as they relate to the other furniture, fabrics, wall treatments, floor treatments and lighting in the room must be considered. FIVE Custom and bespoke pieces can become wonderful family heirlooms to pass down to future generations. In addition to the home’s architecture and interior design, there’s an invisible, cutting-edge digital component contributing to its tranquility. Cory Reistad, SAV Digital Environments, worked with WRJ Design from the beginning of this project to provide lighting control, automated window treatments and AV. 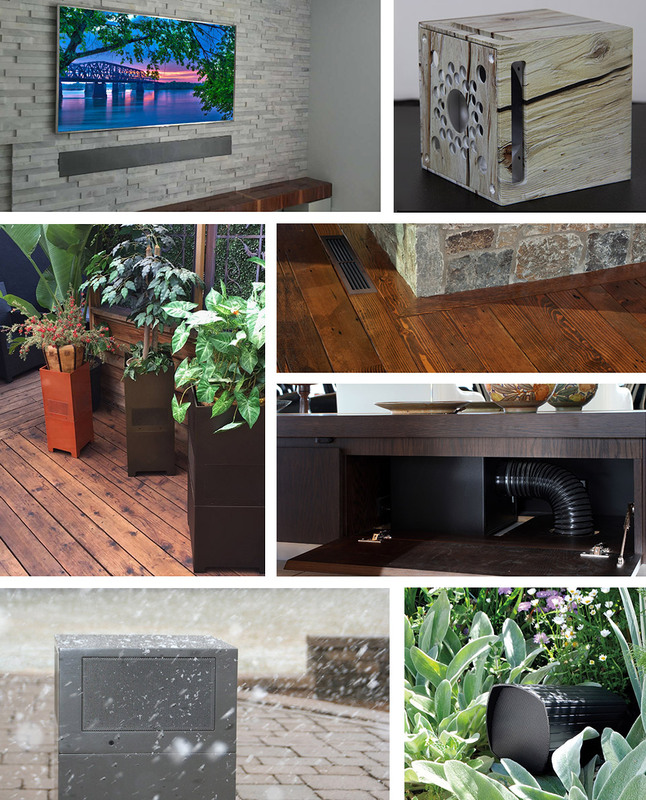 Below, Reistad shares a behind-the-scenes look at technological components in the home. FLUSH DETAILS To eliminate bulky components such as wall outlets and switches, and preserve the aesthetics of the home, SAV used a trimless and flush mounting solution for lighting and shade controls. AUTOMATED SHADES & DRAPES Electronically controlled shades and drapes are hidden within pockets or recessed into the window casement, creating a seamless appearance with a simple push of a button. INVISIBLE SPEAKERS SAV installed invisible speakers in the walls and then finished over them with the surrounding surface to deliver ambient music that emanates throughout the space with no visual footprint. It’s almost as if the walls become the speakers. James Loudspeaker makes custom speaker products to address traditional home theater and whole-house audio, as well as solutions for outdoor audio and marine applications such as this soundbar above the TV that also contains a drop-down projector screen. A similar soundbar to this was also installed in a yacht. SAV Digital Environments is able to meet a range of customer demands through the custom speakers and support provided by James Loudspeaker. Today’s modern era of home entertainment is flourishing and now electronics professionals have more product choices then ever before. Rising above this competitive marketplace, the California-based manufacturer James Loudspeaker is helping a new generation of integrators that includes SAV Digital Environments to thrive in a world dominated by digital media unique customer demands. Derek Flikkema, sales and design consultant at SAV, says we chose James Loudspeaker as a vendor because of the manufacturer’s willingness to do whatever was necessary to meet the objectives set forth by the client. One aspect of SAV's relationship with James Loudspeaker that is easy to overlook is how the speaker company is able to apply its experience to find the right solution for a client, which in some cases means not adding the cost of a custom speaker design to the job. From a dealer perspective beyond the cost and application of a custom product, Flikkema points out that custom speakers can also be time consuming to develop, and not every manufacturer is interested in the commitment it takes to make a custom speaker. 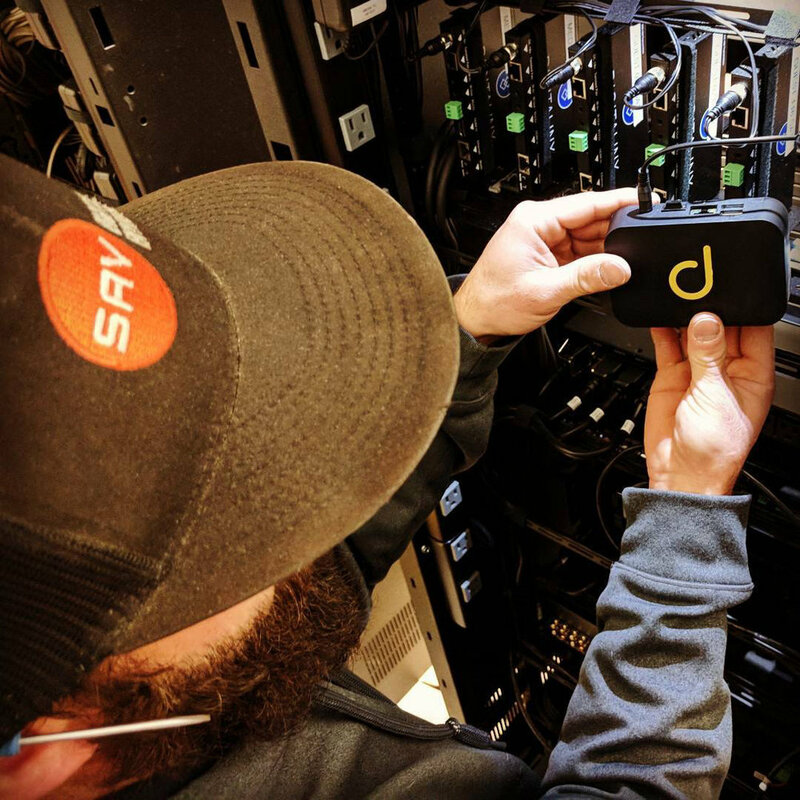 In addition meeting customer demands through unique custom products, James is also helping SAV Digital Environments stay in tune with the latest market trends. Flikkema says that some of the trends SAV is addressing through James Loudspeaker’s standard product line include the ability to break down traditional barriers to deliver a range of entertainment experiences. What changes can we anticipate in the future about how we will live? Some people have the ability to take a different look at important problems and to break beyond conventional wisdom to introduce new thinking and products that ultimately will affect how we will live. Meet three very different kinds of trailblazers and explore their ideas. The biggest shifts in how we live come from technology, and frankly, it can be overwhelming to keep up with all that’s available and to make it work in a home. Cory Reistad, founder and owner of SAV Digital Environments, which has experience centers in Bozeman and Big Sky, takes on that challenge. “We create reliable and intelligent solutions to simplify lives. It’s our job at SAV to discern from all the technologies out there and narrow down what really works. Keep in mind that a large percentage of new technologies fail. By sorting through technologies, we protect our clients’ interests and their pockets.” With a background in the industry, Reistad founded Studio AV in 2005, and over time Studio AV evolved to SAV Digital Environments and it has grown to over 60 team members. As the eyes and ears of so many in Montana, what are Reistad’s recommendations for technology that really can enhance people’s lives? This question acknowledges not only that SAV Digital Environments designs, manages, and installs systems, but also speaks to the range of its expertise in home automation: AV systems; home theaters and entertainment; lighting controls; automated shades and blinds; security and surveillance; life safety; networking and IT; climate control; energy management and more. Reistad adds, “We assemble, manage, and make it useful. We manage technology so clients are not overwhelmed and find simplicity in the complexity. It requires anticipating someone’s lifestyle.” One of the first suggestions he offers to make peoples’ lives easier is based on the experience of his own busy family with three kids ranging in ages from 10 to 14. “I recommend an “all off” button. When I leave the house I have assurances that everything is off and the home temperature goes to the dormant setting. It gets you out the door fast.” Similar to this is a vacation setting. Reistad describes it as putting the home in a dormant status for energy savings with the shades down and the lights off. Programming can also mimic that the home is occupied by setting lights to go on or off or shades to go up or down at certain times. Reistad finds that clients are increasingly sophisticated about technology. “They are used to looking at screens and they adapt quickly. It’s important that we make technology as intuitive and fast as possible.” However, as more people in a household use technology, the network is taxed like never before. What if you could reduce design time on even the most complicated smart home projects, increase efficiency, and scale your integration firm knowing you had the tools in place to accommodate rapid growth? 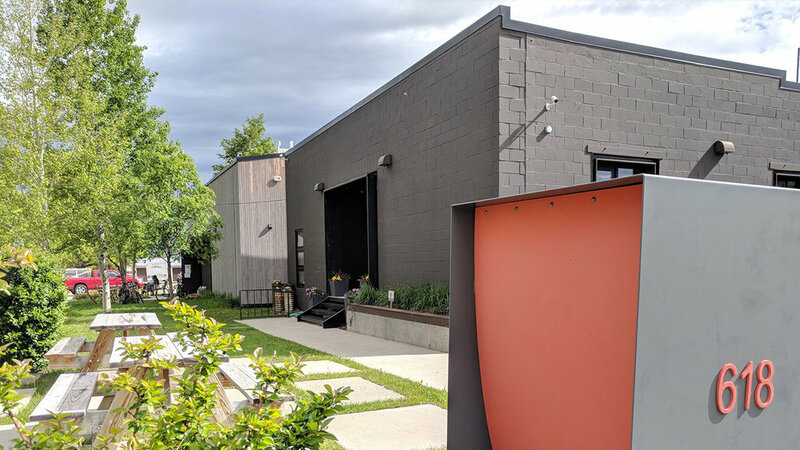 Montana-based custom integration firm SAV Digital Environments – previously known as Studio AV – with offices in Bozeman and Big Sky, did just that by adopting D-Tools in 2016. A relative newcomer to the System Integrator software platform, SAV is already reporting a 75 percent reduction in design time, and the ability to tackle much larger projects with ease. 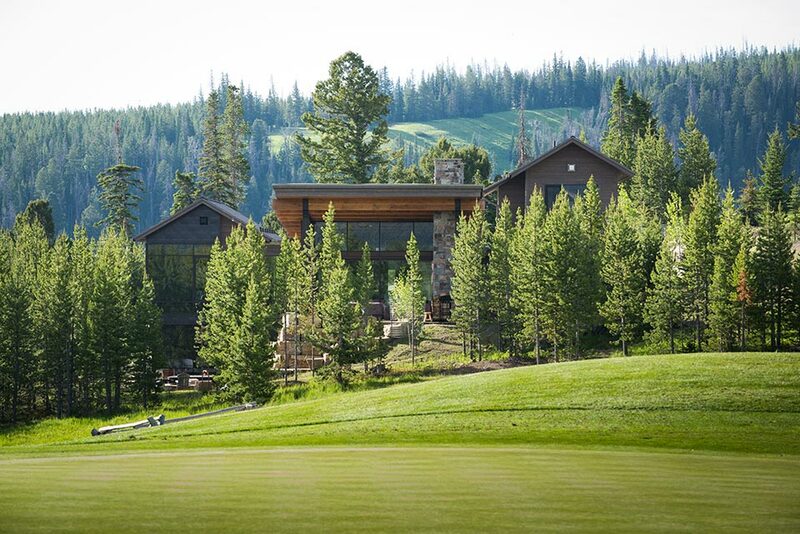 SAV had the opportunity to stretch their capabilities and their expertise on the D-Tools platform with a multi-year project to design and install smart home systems in a 10,000-square-foot modern residence in Big Sky, Montana. SAV’s higher-end projects can cost an upwards of half a million dollars or more on their custom integration homes. The D-Tools platform makes it easier to manage all the moving parts of such a project more efficiently, saving time and reducing costs for the integrator. A technological masterpiece tucked away in the Rocky Mountains, the house combines modern décor with technology that virtually disappears within the exquisite, yet rustic, architecture. Before implementing the D-Tools platform, SAV created parts and labor line items directly in QuickBooks estimates and used independent programs and parallel databases for other design documentation. On a project this size, the integration firm would have wasted days — and risked errors — transferring information. “Creating estimates through D-Tools wizard drastically reduces the potential for human error,” says Williams. Just as important, D-Tools enabled SAV to deliver a professionally produced proposal that painted a clear vision of the smart home systems and the lifestyle they would help create for the homeowner. When the home’s residents aren’t hitting the ski trails or enjoying the community’s many amenities, they have plenty of entertainment options right at home. For SAV, meeting the client’s needs meant providing full network infrastructure across the property using BlueBOLT networking and a Ruckus wireless system, along with distributed AV, a private home theater, pool and spa, and a custom Lutron lighting and shading system, all controlled via Savant. The house also includes fully integrated life safety and surveillance equipment for the owner’s peace-of-mind. “D-Tools was central to the project, from creating the preliminary design to tracking extensive change orders over the multi-year process, to creating and maintaining accurate IO documentation,” says Williams. Likewise, D-Tools helps SAV eliminate redundancies to save time on every project, from design and installation through service. “We use the product database to manage information about each product, such as dimensions, weight, power consumption, heat dissipation, along with cost, price, and labor. When we need information about something on the job, D-Tools is the place to look,” he asserts. The ability to track every input/output, audio/video zone, and rack elevation change during the design process and also after the fact were crucial to a successful installation at Big Sky. The project includes 32 audio zones with 15 separate audio sources and eight video locations each with its own source. “By linking our Visio drawing schematics to the D-Tools project, we cut the time required to draw a full IO diagram by 75 percent,” explains Williams. 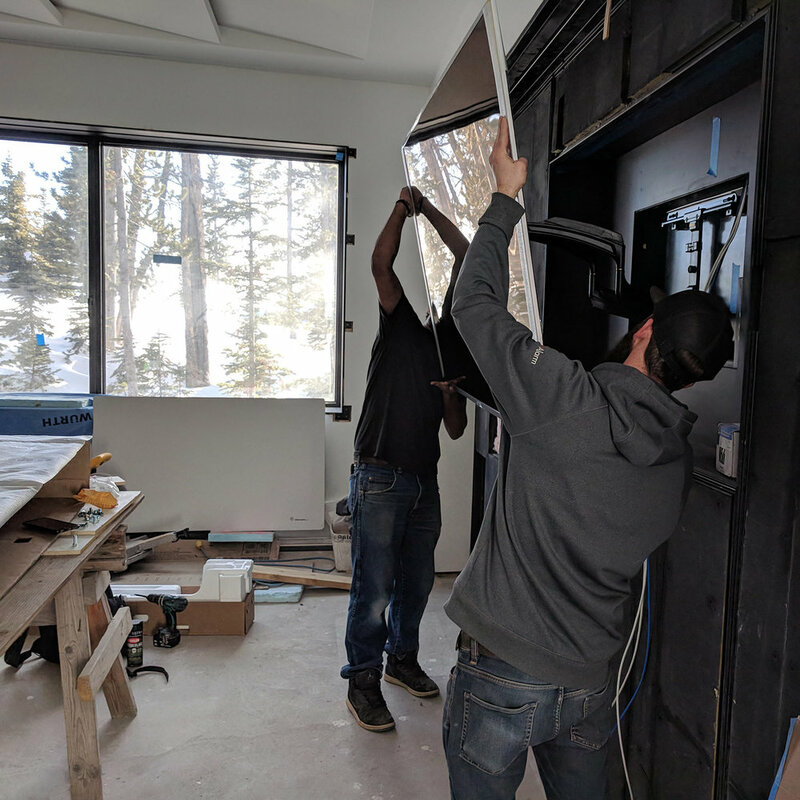 As with most new construction projects, the Big Sky installation involved many change orders as the SAV team worked with the architect to hide the technology – sometimes blending the AV components with the home’s design, and other times, hiding them completely. For instance, SAV chose small aperture Sonance DOS speakers and subwoofers for distributed audio within the home. The pool, hot tub, and sauna areas use exterior-rated Sonance speakers. Specific rooms called for Sonance Invisible Series speakers installed behind the drywall, creating ambient music that emanates from the surroundings with no technology visible. Glass and wood dominate the design in this spacious mountain home, which created both acoustic and ambient light challenges in the space. To darken the primary living area, providing privacy and optimal media viewing conditions, SAV specified what Williams calls “the largest curtain track we’ve ever installed.” Built by Bradley Collections, the track is approximately 38 feet long and 15 feet tall, featuring custom-designed curtains and integrated with the Lutron lighting system for control from the same keypad that controls the lights. While the family room TV is used for streaming Netflix and central sources such as DirectTV, Apple TV, and an Oppo Blue-ray player, the home’s residents often gather in the dedicated 10-seat home theater when they want a true cinema experience, which is delivered by a Sony VPL-VW675ESprojector and Da-Lite custom 129-inch drop down screen. SAV selected a Meyer Sound UP-4XP speaker and JBL S4S subwoofers in a 5.1 surround sound configuration for the space, hiding the front speakers with an acoustically transparent fabric from Gilford & Main. The theater has been through several revisions, and the final design, as it stands, came as a change-order months after the original contract. “D-Tools allowed us to make extensive and continuous changes as the project was in progress without having to worry about details falling through the cracks,” says Williams. Security and surveillance are important, yet sometimes forgotten, aspects of a smart home installation. Especially in the case of multi-acre luxury estates, the ability to expertly design and integrate home security and other life safety systems provides an additional revenue stream for the integrator and puts the integration firm at the center of all the home’s technology systems. The ability to design and track network infrastructure, security and surveillance systems in D-Tools gives SAV an advantage on large-scale projects like the Big Sky home. The home’s life safety and security systems alert local authorities not just in the case of an intruder or fire, but also floods. 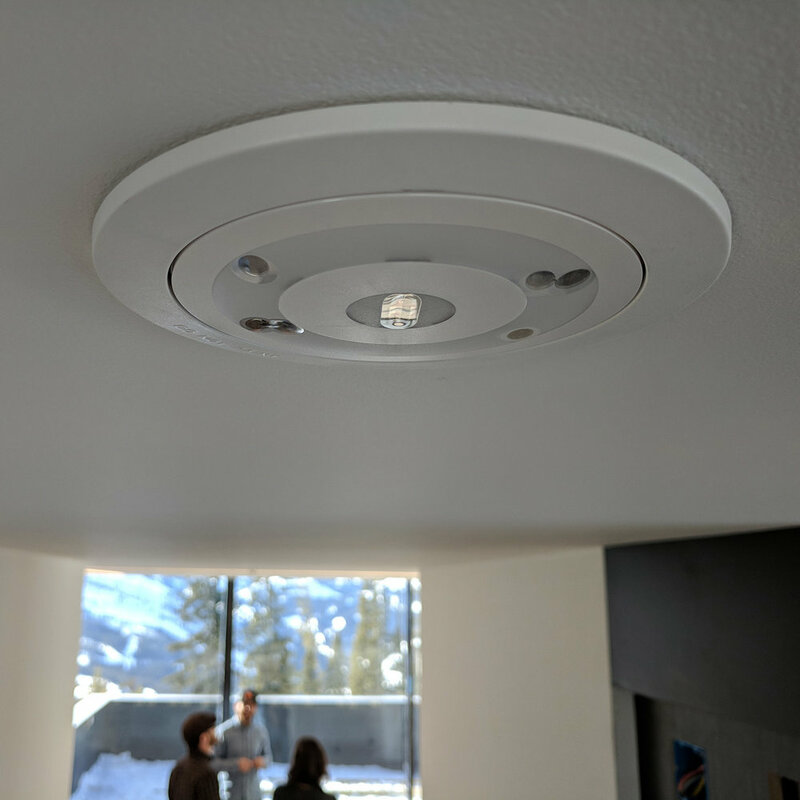 Bosch smoke detectors are recessed so the ceiling-to-floor door doesn’t run into them when opened, and water sensors in the toe kicks provide flood detection for not just a single location, but the surrounding area. Even after the installation is complete, a home of this size and stature requires ongoing service after the sale to maintain SAV’s stellar reputation as a smart home integrator of choice in the Big Sky / Bozeman region. SAV uses Domotz for ongoing remote network monitoring and management. 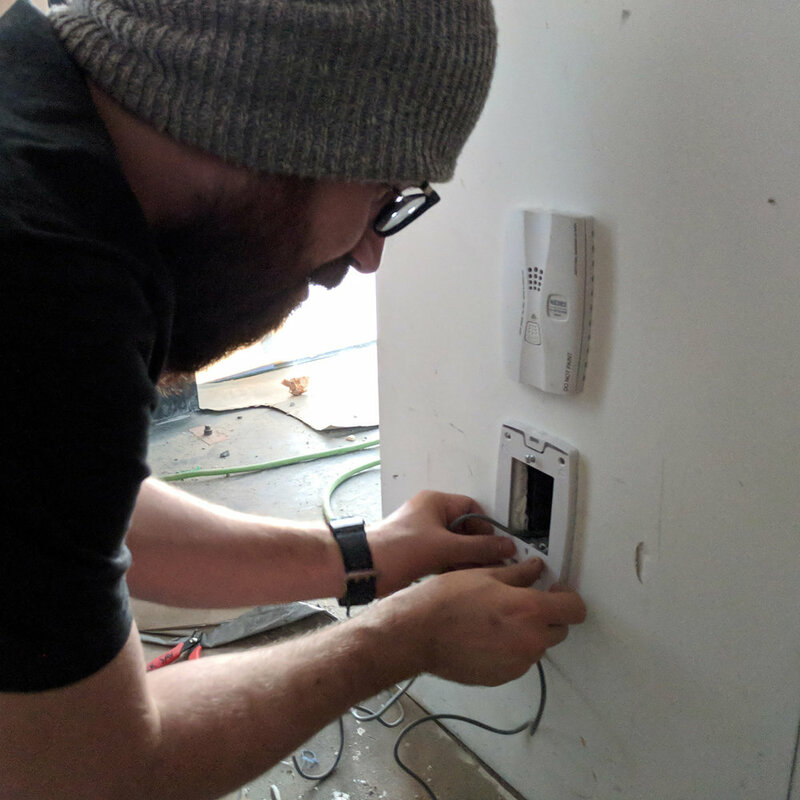 “As an early adopter of Domotz, we quickly realized the boundless capabilities this device has to remotely monitor and manage issues that may arise within our customers’ environments – often before they ever know they have a problem,” says Jake Tomlinson, SAV Systems Designer. The recent D-Tools / Domotz integration enables D-Tools to take custom integration firms like SAV through a complete cycle, from sales to service, providing an outstanding experience for their customers. Like many D-Tools users, Williams is hard-pressed to put an exact number on the positive impact the System Integrator platform has had on the company’s business. “It is difficult to quantify the effect D-Tools has had on SAV,” he says. Regardless of the size of the project, D-Tools helps create an efficient, repeatable process that enables SAV to grow profitably. “The type of work we do is awesome, but it’s only awesome if it all works perfectly. To achieve that, we use D-Tools,” Williams concludes. Imagine you’re in Bali and your cell phone rings. Your neighbor back home in Montana has just gone into your house to feed the fish and check the mail, and she is calling to let you know that there is a large puddle of water on your kitchen floor — and it seems to be seeping out from under your dishwasher. Two words immediately leap to mind: vacation ruined. Picture another scenario. You’re on Kuta Beach in Bali, drinking your favorite tropical beverage, and your cell phone gives a discreet beep. SAV Digital Environments has just sent you a text to let you know that a valve broke under your dishwasher — some sort of weak spot in the appliance’s infrastructure perhaps — and their remote water alert system immediately detected it and shut off the water. Totally different words spring to mind: So glad we installed that remote monitoring service. Over the past 20 years, the concept of a “smart house” that knows when to turn your lights on and off, rolls window shades up and down at the sound of your voice, sends you a text if your front door is left open, and responds to remote commands from your phone, has become a relatively affordable reality — a far cry from portrayals in science-fiction and space-age cartoons. SAV Digital Environments (pronounced /es-ā-vē/), a home and business technology firm that originated in Bozeman, Montana, and now has more than 60 employees spread throughout Bozeman, Big Sky, and Jackson Hole, Wyoming, has evolved from the audio-visual installation company Studio AV founded by Cory Reistad in 2005, to a company that not only designs the best available audio and visual entertainment for homeowners, but also integrates those components into whole-house systems. SAV has created teams of experts in their fields who know how to capitalize on the potential of new technology, solve old problems, and anticipate new scenarios, helping to modernize home and business environments. When the construction boom of the early 2000s was still at its height — particularly the explosion of higher-end construction in Montana’s resort areas — professional, high quality home audio and video systems were requisite in new construction, and increasingly were being retrofitted for use in remodeled homes. Reistad recognized that there was an opportunity for a company that embraced emerging higher-end technologies to design and install these systems, blending them with the home environment. Home theaters with surround sound and high-quality pictures were just the beginning. 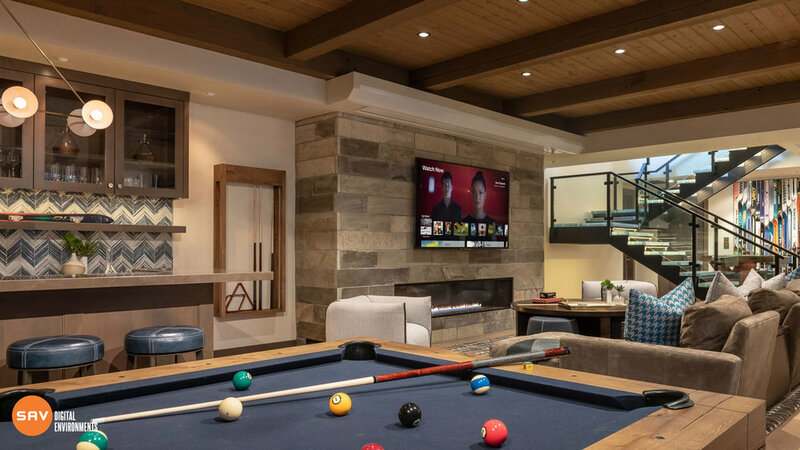 Automated whole-house sound and lighting systems were becoming increasingly common — a real business opportunity for a technology-savvy company. SAV also tries to create a working environment that reflects their commitment to their employees, their communities, and to their clients. A whole division of the company is dedicated to ensuring that client issues are resolved quickly and efficiently, whether remotely or through a home visit. It is easy to see how these systems give homeowners peace of mind while they are away, but their experiences are enhanced while at home as well. 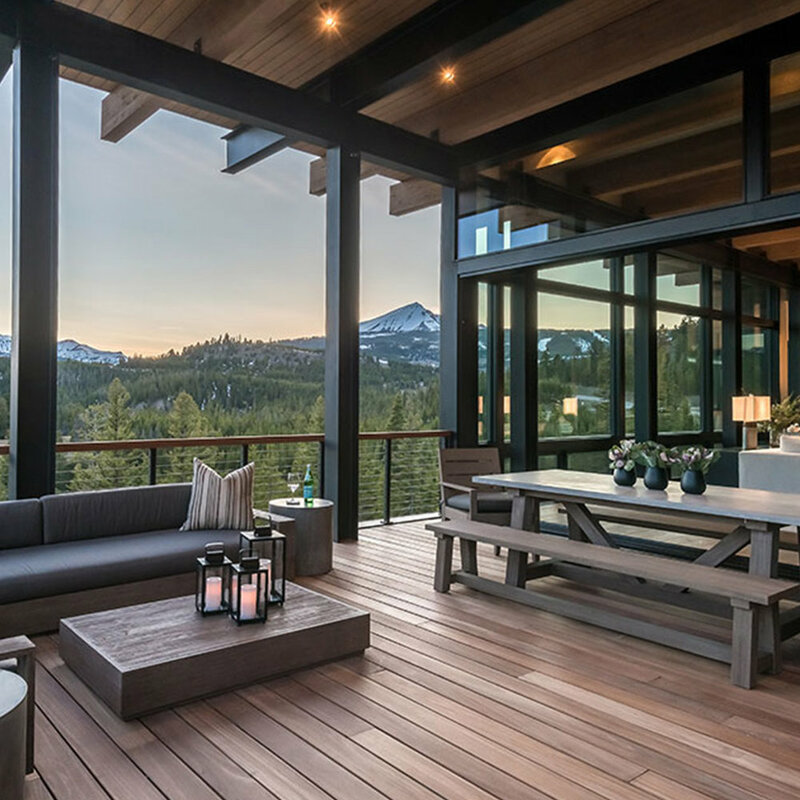 Throughout the West, where residents value time spent on hiking trails, ski slopes, and golf courses, it’s appealing to come home at the end of a day to a gently lit living room, with shades at just the right angle; or enjoy the long light of summer evenings on the deck while sipping wine and listening to music. SAV supports its workforce, and the communities where it is based. For employees, this means their creativity is valued, and rewarded. In addition to a benefits package, SAV offers ski days and celebrations that range from impromptu pizza parties and happy hours, to an annual holiday party and summer picnic. 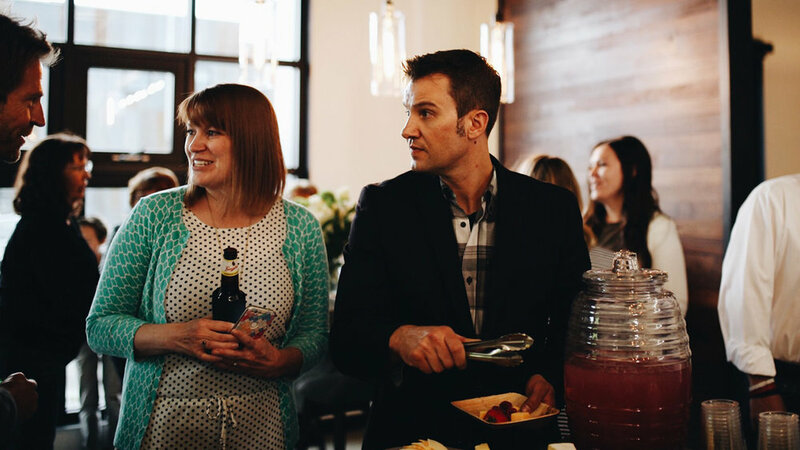 Within the community, SAV supports groups like the Big Sky Community Organization, Big Sky Youth Empowerment, the Bozeman Cancer Center, and many other worthwhile causes. In 2017, SAV was voted the second Best New Business — new to Big Sky — in the Best of Big Sky Awards. From low-profile smoke and carbon monoxide detectors, to inconspicuous surveillance systems that don’t interfere with the architectural details of a home, to discretely placed surround-sound speakers, and strategically placed TVs — hidden behind artwork or inside the ceiling or wall — SAV’s systems are designed for their clients’ enjoyment. Whatever the next new trend in property owner comfort, security, and convenience may be, the SAV team will aim to explore creative ways to integrate it. We’ve previously talked about how remote monitoring and management (RMM) can be used as a platform on which to base services that generate recurring revenue, while also enhancing the customer experience. Today, I would like to tell you about an integration company that is using RMM as a core component of their business strategy and has been very successful in doing so. The region in and around Yellowstone National Park is world-renowned for its natural beauty and outdoor recreation opportunities. People flock to Yellowstone, Jackson Hole, and the Grand Tetons to escape their busy daily lives and immerse themselves in a wonderland of skiing, snowmobiling, hunting, fishing, hiking, horseback riding and more. Yet, even in this outdoor playground, people still love to come home to the modern convenience and entertainment experiences delivered by custom installation professionals like SAV Digital Environments. With three offices in the area, SAV specializes in offering their customers the best of these experiences. As you might imagine, taking care of customers scattered across a region of wilderness about the size of Rhode Island can present a few challenges — especially when those customers have such high expectations when it comes to the investments made into home technology. SAV has built their business around addressing these challenges, and nobody understands them better than SAV’s Client Services Director, Eric Knez. I recently had the opportunity to learn more about SAV’s business from Eric and wanted to share some of the insights he provided from that discussion. Clark Roundy: How does SAV use RMM to improve their business? Eric Knez: Given the nature and complexity of the technology and systems we install in clients’ homes, inevitably something is going to fail and need to be reset or restarted. RMM helps the team at SAV get ahead of those kinds of problems. RMM allows us to take a far more proactive approach to servicing our clients. If all goes well, we can remedy a problem before the customer realizes there was a problem. How cool is that? CR: Can you share any specific examples or cost savings data related to how RMM has helped improve your operational efficiencies? EK: We all know it’s inconvenient when equipment stops working. But, how about when it’s the client’s whole-house lighting processor and the customer is 40 miles from the office? This is an actual scenario we recently faced. Normally, that would create a full-blown panic situation. We would pull a tech off another project, drop everything and drive out to the house. Unnecessary truck-rolls cost real money and valuable time. Fortunately, it doesn’t always have to be that way. Once we received a notice from our RMM system that the client’s lighting system had gone offline, we could immediately address the problem – remotely, from our office. Right from my desk, I was able to see what processor was down, power-cycle it, and within five minutes I had the client’s lighting back online and working. Our customer was especially happy because nobody had to visit the house and the problem was resolved in minutes, not hours. CR: Clearly, RMM helps SAV solve problems more efficiently. But, how does it help improve the relationship with your customers? EK: By being ahead of the service curve rather than behind it. We can identify and fix a problem immediately right from the office chair without the customer having to wait for an opening. Our approach isn’t just about delivering service. It’s also about delivering convenience and peace-of-mind to our customers. CR: Even with RMM, you undoubtedly still need to roll a truck sometimes. Does RMM provide any benefit in those scenarios? EK: Yes, even in those cases, our team and customers can often still benefit from RMM. RMM gives us the ability to provide the in-field tech more information, so he arrives onsite better prepared and can be more targeted on where to start troubleshooting, rather than just shooting in the dark. CR: You guys certainly have built a nice business around RMM. What advice would you give to your fellow integrators who might be on the fence about whether or not to adopt RMM as part of a customer service program? EK: Do it. Service is absolutely where the future of our industry resides. Now is the time to start setting your company apart from the ‘other guys’. If you don’t do it now, someone else will. Clark Roundy – I couldn’t have said it better myself. Ultimately, RMM is just a tool, but it’s a tool everybody should be using to their advantage – to be more efficient and to deliver an unprecedented level of service to your customers. Clark Roundy is CEO of Domotz, a leading provider of network monitoring and remote tech support systems for integration companies and IT professionals. Clark is a 25-year technology industry veteran with a broad range of sales, marketing and executive management experience. Prior to joining Domotz, he served as VP of Marketing and Product Management at Luxul Wireless. 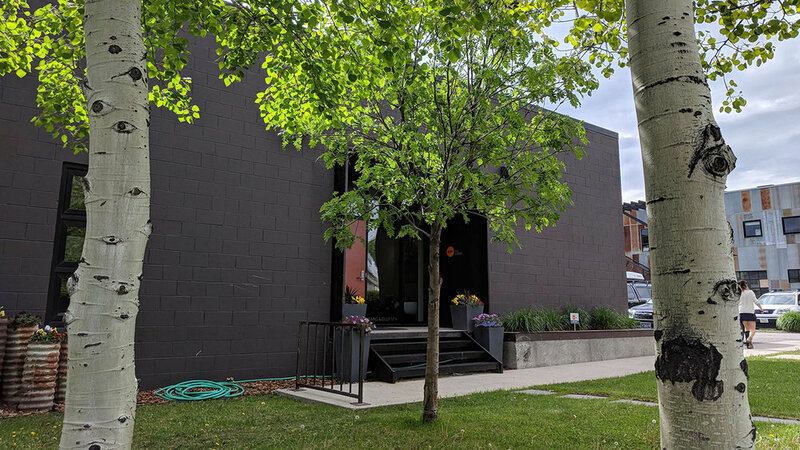 After 17 years of regular trips through Gallatin Canyon, SAV Digital Environments has set up shop here in Town Center, closer to the bulk of their Montana clientele. SAV sets up integrated digital systems for homes and businesses. They design tailored audio and lighting systems, immersive video-viewing areas, and window treatments that can allow a pre-determined amount of natural light into a space. They also design climate control, security and surveillance systems. At a July 28 ribbon cutting with the Big Sky Chamber of Commerce, Cory Reistad, president of SAV, said the new space in Big Sky makes sense. They’ll be joined in that space by Energy 1, an 8-year-old renewable energy solutions firm. Energy 1 owner and co-founder Leo Crane said opening a space in Big Sky with SAV makes sense given that they’re both in the design/build industry and have many overlapping clients. “We crossed paths enough on past projects that this was a very natural fit for us to have a space up here,” Crane said. Both SAV and Energy 1 also keep offices in Bozeman and Jackson, Wyoming. Energy 1 works on mechanical, electrical and plumbing projects with a focus on renewable energy. They design solar and solar-electric systems for clients, as well as high-efficiency heating and cooling using smart thermostats and geothermal technology. Crane said the bulk of Energy 1’s business in Big Sky focuses on geothermal systems, which take advantage of the more consistent temperature of the earth underneath a building for heating, cooling and hot water. But they also work on installations like oxygen enrichment to help people coming from lower altitudes acclimate to Big Sky’s elevation. Crane added that Energy 1 is the only company in the state of Montana that has partnered with electric automaker and solar panel manufacturer Tesla on their charging stations. “That’s an exciting part of our business that we’ll be able to offer Montana clients—Tesla products,” he said. SAV Digital Environments is dedicated to finding and vetting not only the smartest and the best technologies, but technologies that almost seem invisible. Many technologies can seem intimidating, unwieldy, and brazen; Cory seeks products that are subtle, intuitive, and behind-the-scenes. SAV’s expert team designs and installs digital systems that co-exist and complement people’s day-to-day existence. After all, even in this digital world, we still want a human touch. SAV is a comprehensive, process-driven firm that offers design and installation services for audio/video systems, home cinema, lighting and shade control, network and IT connectivity, security and surveillance, energy monitoring solutions and more. Our main regions are Bozeman and Big Sky, MT, as well as Jackson, WY. However, we have been known to serve various other locations, most within a 100–200 mile perimeter to our main regions. We offer unyielding commitment to client service. Very early in the business, I learned that establishing a commitment to our clients’ needs is our most important job. That is why SAV has dedicated an entire division of the company to focus on our clients’ systems after they have been installed. Though we get excited about all of the work we do, right now our commercial security division is our most exciting. We are seeing increased demand for asset protection. Advancements in facial recognition and artificial intelligence related to human behavior are absolutely astonishing. Describe your process and how you work with clients. Our work with our clients generally starts early in the design phase of the project. Because the end goal is to incorporate technology into the home in such a way that it blends into the architectural environment, it’s necessary to incorporate those details and collaborate with the owner in order to succeed. Once the design is complete, we work closely with the general contractor, interior designer, and other trades to deliver a seamless system. What are some of the tricks of the trade? In the wake of ever-changing technology, I’d advise to be patient with innovative products and make sure they are properly vetted before placing them in clients’ homes. With our commitment to simplicity and usability, it is vital that we do not use our clients’ homes as technology test beds. As we move outside, it makes sense we’ll want music, entertainment, and convenience to be part of the experience of living outdoors. “When designing systems, I like to ask: Where do people like to spend time? Then I populate the area with immersive audio and/or video,” explains Cory Reistad, founder/president of SAV Digital Environments in Bozeman, Big Sky, and Jackson. SAV’s concept for serving clients is immediate concierge service, meaning they are on call 24 hours a day, and 365 days per year to assist and make service calls. SAV’s technicians can also run remote diagnostics and program new equipment without having to come to the home. He also explains that while technology can be very complex, the goal of system engineering and design is to control operations through a user-friendly device with the convenience and ease of end users in mind. 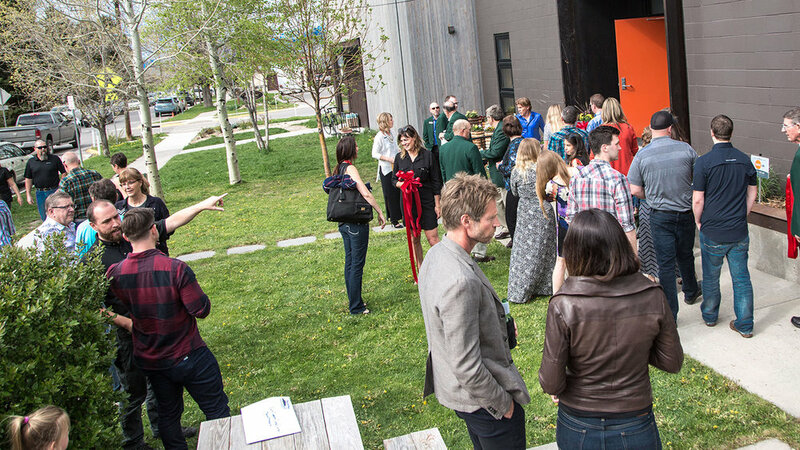 SAV’s headquarters are in Bozeman, where they’re excited to show anybody and everybody what’s possible. 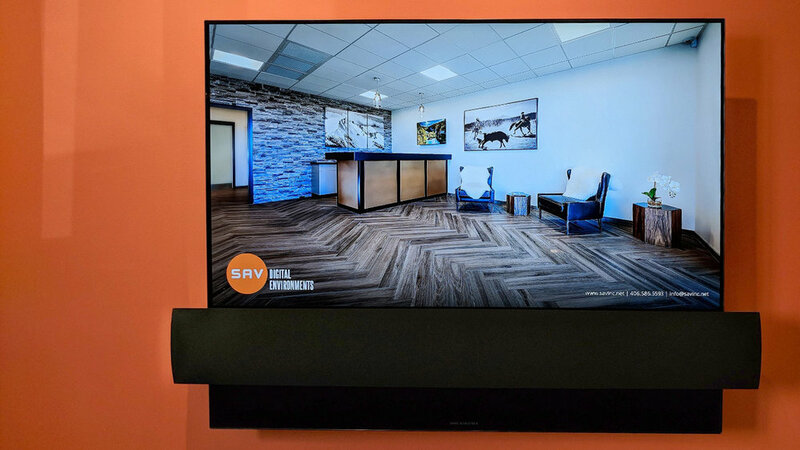 However, in order to enhance customer service and to reach out to clients with even more convenience, SAV is opening their “Living Design Center” this summer in Big Sky. “It’ll be a very modern, cutting edge one-room snapshot of all SAV does—everything. It’ll be staffed by designers who can show the best in lighting, shades, board room automation, audio, and more,” says Reistad, who extends an invitation to stop by. Outdoor spaces are so much more than they were in the past, but also our lives are so much busier. They are the perfect place to unwind, relax, and appreciate the natural world. A quaint guest escape with rustic character and modern details. 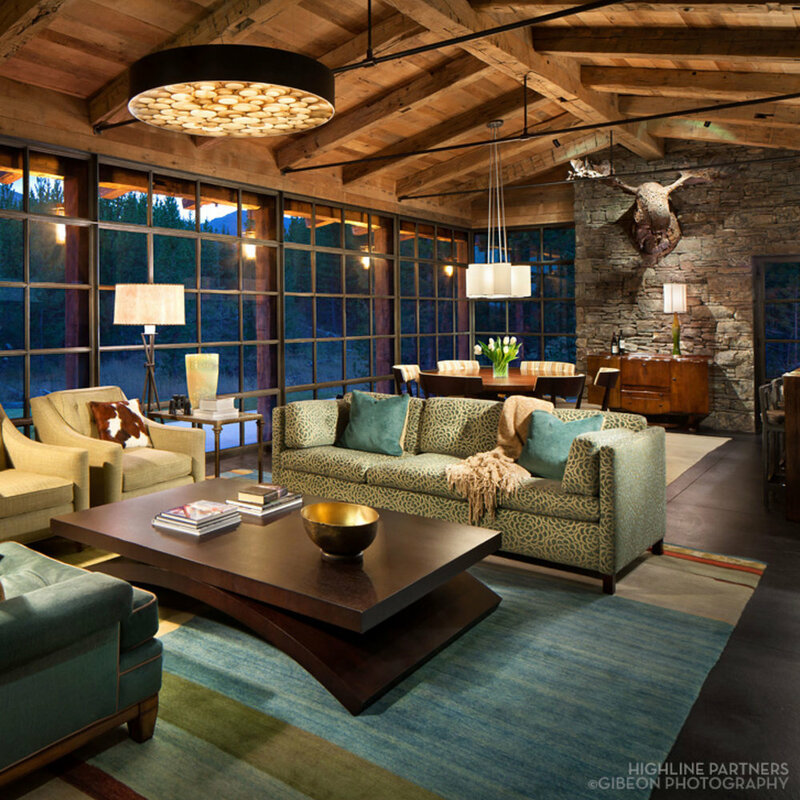 The fusion of glass, metal and timber in this mountain guest cabin evokes a rustic elegance with a modern twist. A true blend of past and present with views that bring the outdoors into this intimate space. Innovative process, material, and technology. SAV Digital Environments designed and installed the technology including the lighting controls, sound system, video displays, and window shades.